Started by metmike - April 11, 2019, 1:47 p.m. Please enjoy reading posts on weather and markets! Even better............register so that you can give us your important thoughts and we can get to know you! We welcome all views about everything from everyone on our NTR(not trade related) forum. You can go there by hitting "NTR" on the left side of your screen. Go to "Log-in" on the "Home Page"
The Log-in page will have an option "If you have not created an account yet, then please sign up first." Fill the information out on that page and remember your password. An email will be sent to you that you must respond to in order to verify your email address.............only upon registering the first time. After that, go back to the Log-in page and put in your username and password. To have fun posting, hit "New Topic"
This may help you. 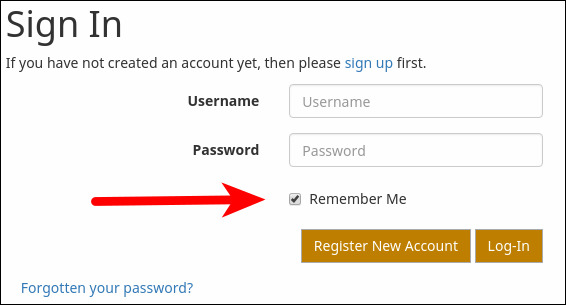 When signing in, check the box that says "Remember Me". Are you sure you want to delete this post: Welcome to our forum-3? By metmike - April 11, 2019, 1:47 p.m.
Post something political or even better post something interesting to you about music, sports, science, history, gardening, religion............basket weaving. You might be surprised at how many others also find it interesting. Are you sure you want to delete this post: Re: Welcome to our forum-3? By metmike - April 13, 2019, 6:15 p.m.
Only 8 days until Easter! Are you sure you want to delete this post: Re: Re: Re: Welcome to our forum-3? By silverspiker - April 13, 2019, 11:35 p.m.
By silverspiker - April 13, 2019, 11:37 p.m.
Are you sure you want to delete this post: Re: Re: Welcome to our forum-3? By silverspiker - April 13, 2019, 11:40 p.m.